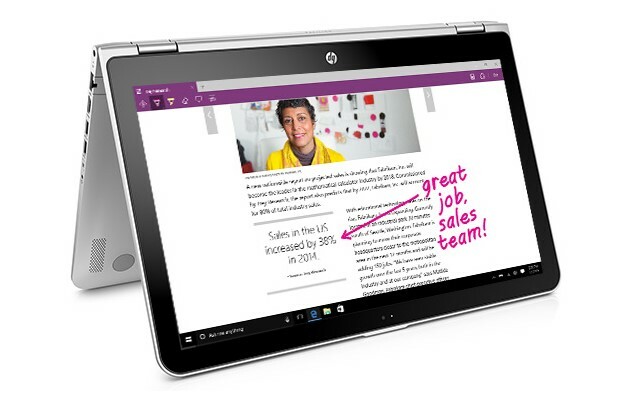 Microsoft is now offering $280 discount on HP Pavilion x360 Convertible 2 in 1 PC. Original price of the laptop is $729, but it will cost you only $449. The device is powered by 7th Gen Intel Core i5-7200U. HP Pavilion x360 features a 15.6-inch Full HD touchscreen, 8GB memory/1TB HDD storage, and up to 8 hours battery life. Cover every angle with the flexible and powerful HP Pavilion x360, the thinnest and lightest Pavilion to date. This convertible PC can be used four ways—laptop, stand, tent, and tablet—thanks to a unique 360-degree hinge that flips to the perfect view. Get down to work as a laptop. Fold into a stand and watch movies. Flip to a tent and play games. Or go flat for tablet use. A razor-sharp 15.6-inch Full HD touchscreen makes it easy to zoom, flick, or tap your way through all your work and play needs. The Pavilion x360 has a newly designed display hinge that makes transitions between modes more precise and smooth than ever. With up to 8 hours* of battery life per charge, the Pavilion x360 keeps pace with your busy workday and into the night for some entertainment. Get the offer from the Microsoft Store here.